It has been a VERY crazy few weeks, so I am really glad that last weekend was so relaxing. I had the best time at home with my family and it was nice to not have the added stress of a holiday or busy schedule. The past few weeks I have been busy with my internship, interviewing for jobs, and making some big changes. I am really glad everything worked out and could not be MORE excited to start my new career path working on the Digital team with Edelman!!! I start in May and could not be more ready to begin my career. So…with all the big changes, it was nice to unwind with my family! Saturday I spent the day with my mom. We went to my cousin Colleen’s Spa, La Dolce Salon, and did a little pampering! I was in major need of a pedicure now that sandal season is here! 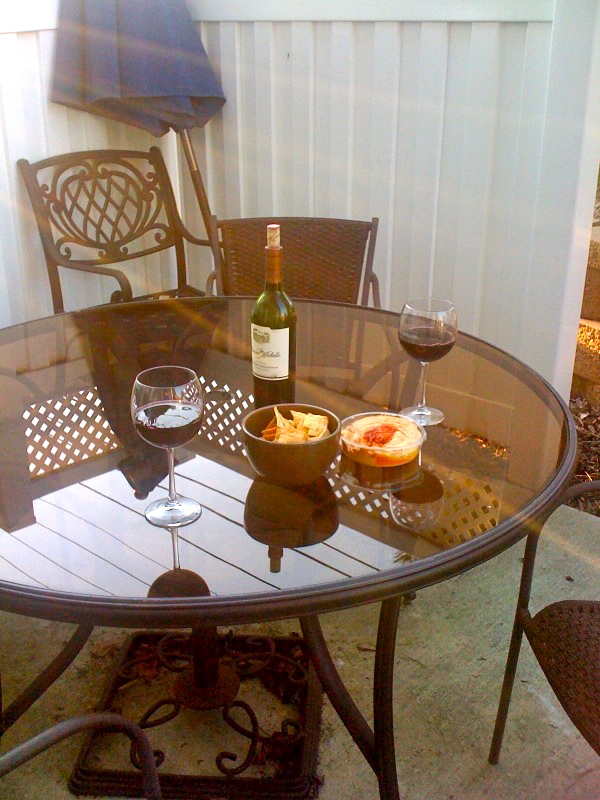 Having some wine before dinner and enjoying the spring weather! When you are throwing together a quick dinner and don’t have enough time to marinade your chicken, put it in a salt, sugar, and water mixture – called a Brine. It will make the chicken so deliciously moist no matter what you season it with. Grant, my sisters fiance, came home in time to throw the chicken on the grill with some barbeque sauce and they turned out unbelievable delicious. We paired the chicken with sautéed red peppers, sugar snap peas, and zucchini. 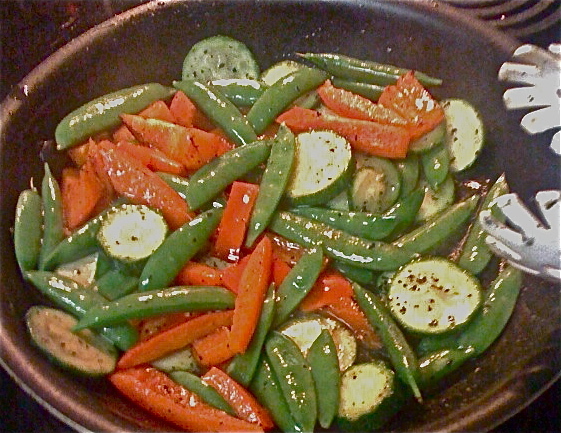 We seasoned them with Lawry’s Seasoned Salt, Basil, and Italian seasoning. 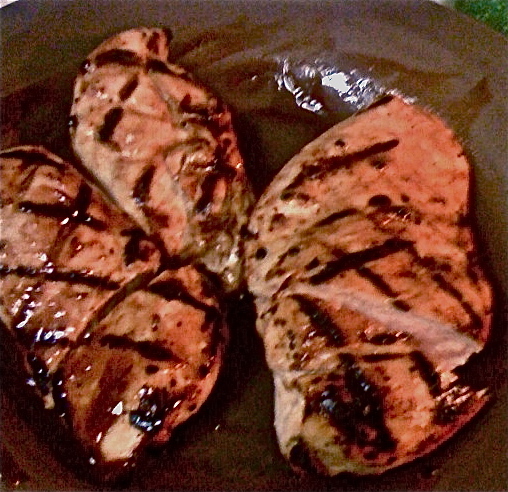 For the dinner being unplanned and thrown together in about 20 minutes, it was mouth-watering good. There was nothing left and we were still wanting more! 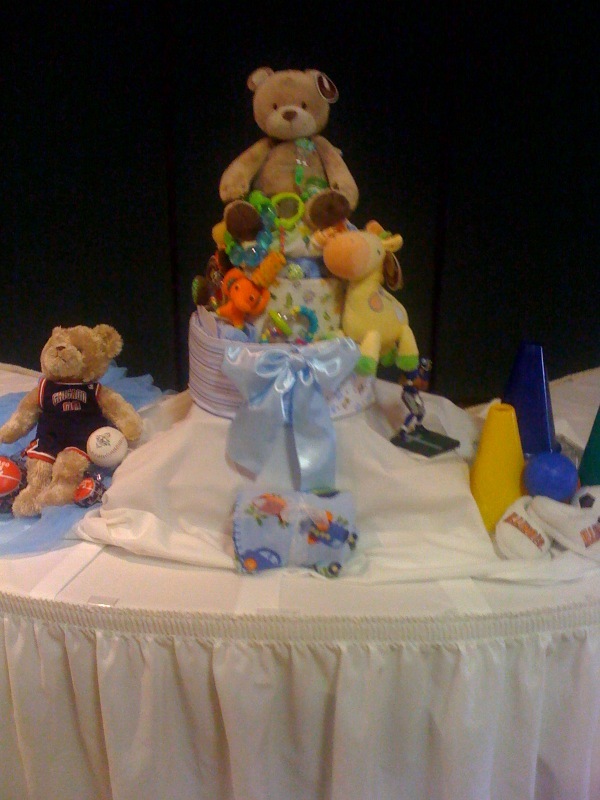 Sunday was my cousins baby shower and my Grandma’s birthday so it was another busy day, but was so much fun! 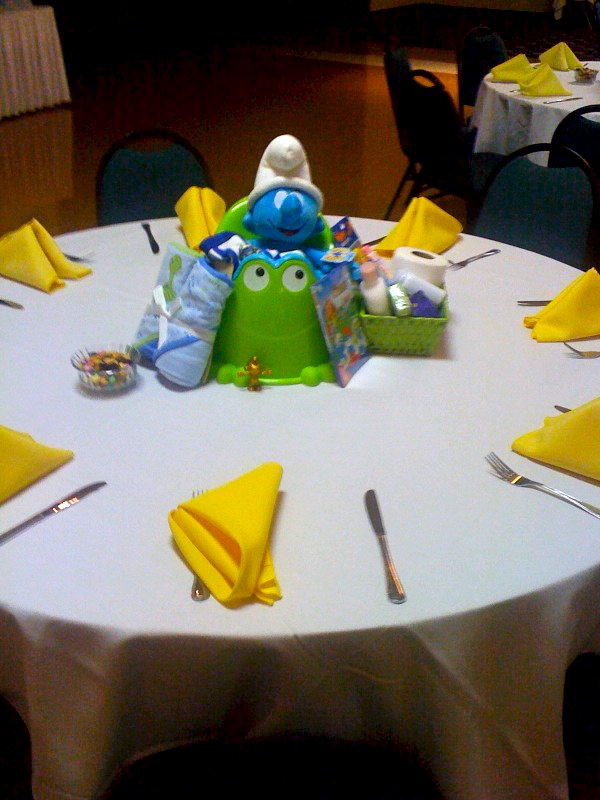 My mom had spent months working on the table decorations – every table had a different theme and there were 14 tables! My Aunt went all out with the gifts for the giveaways at the shower as well and almost everyone received a gift (there were about 100 people there). They did such a great job and truly out did themselves….but that is just how my family usually does things! 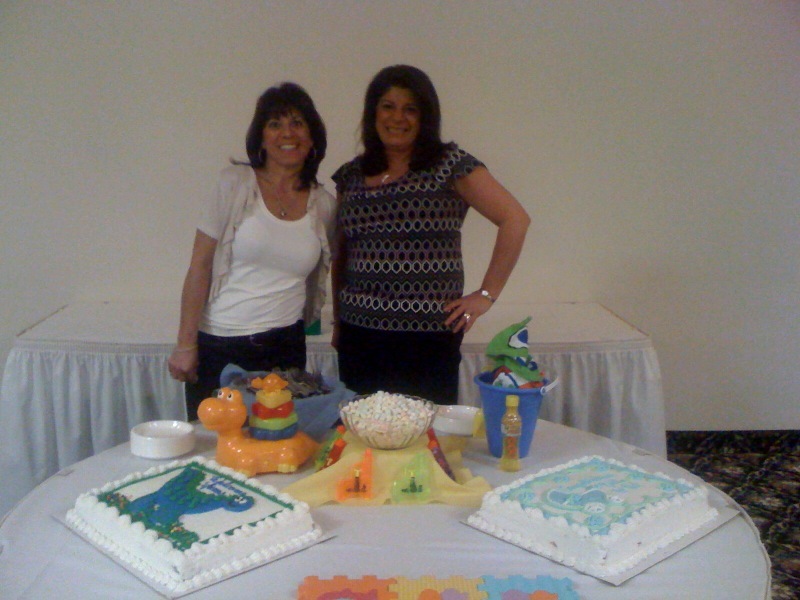 Check out some of the pictures from the shower below! My Mom and Aunt Annette – Wonderful Aunts and Hosts! 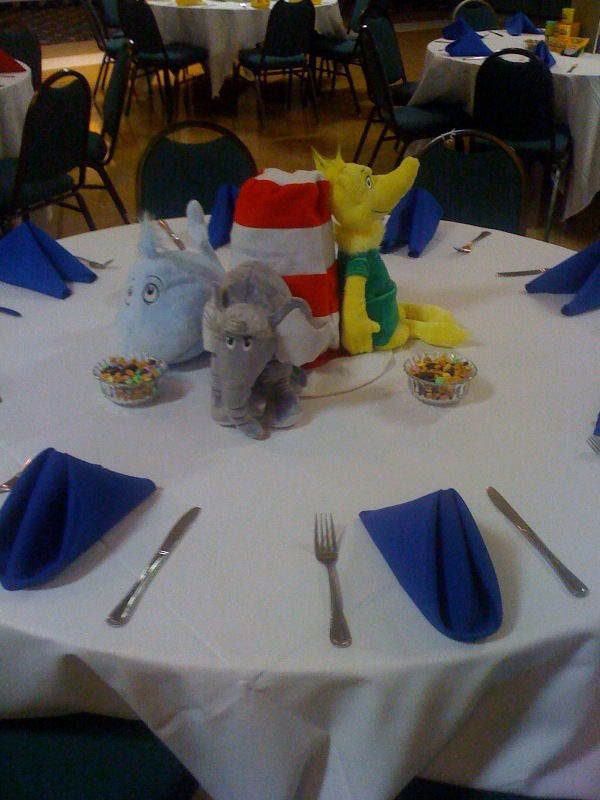 The Dr. Seuss Table – One of my favorites! I’m not sure what to call it, but it was a great gift and I have no clue how she made it!! It was so pretty that we used it as the centerpiece for the buffet table.